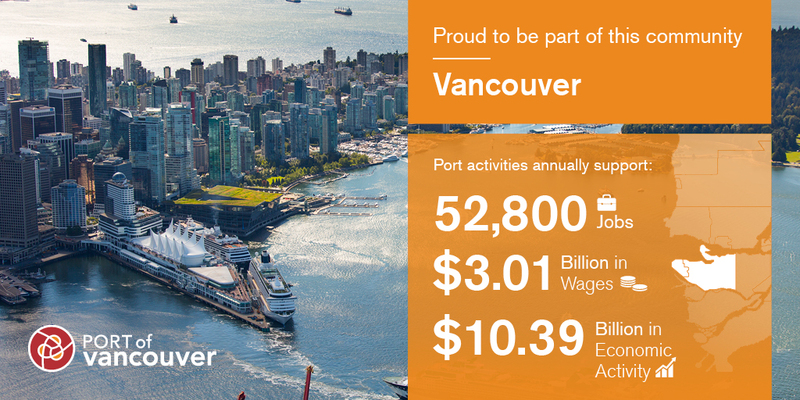 Learn more about the port’s economic impact. Our noise monitoring program helps us to gain a better understanding of the existing noise environment, identify where there might be concerns and track noise trends over the long-term. 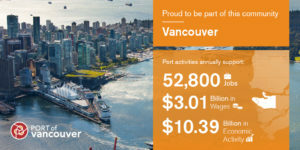 The East Vancouver Port Lands Committee consists of representatives from the Burrardview Community Association, City of Vancouver, Canadian Pacific Rail, the port authority, and Viterra. The committee developed the East Vancouver Port Lands Plan to address compatibility issues between industrial and residential land uses in this area between Victoria Drive and the Second Narrows Bridge, as well as the adjacent Burrardview neighbourhood. Along with our industry partners, we host an annual port gala supporting capital projects from three non-profit community organizations. The community organization we support in Vancouver is Mission Possible, helping those challenged by homelessness and poverty. Their organization is located in the Downtown Eastside.